James Gorman’s bank did worse than rivals last quarter, delivering only a 7.1 pct annualized ROE. Fixed-income revenue slumped and lending losses made things worse. Morgan Stanley’s valuation premium is partly because it’s supposed to be more stable. That logic just took a knock. 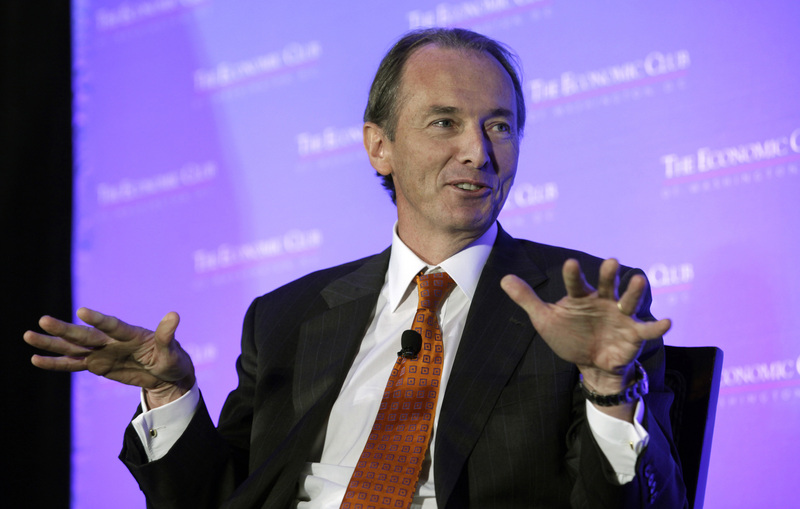 Morgan Stanley CEO James Gorman participates in a conversation-style interview with Economic Club of Washington in Washington September 18, 2013. Morgan Stanley on Jan. 17 reported fourth-quarter net income applicable to common shareholders of $1.4 billion. At 80 cents per diluted share it fell short of the consensus estimate of sell-side analysts of 95 cents a share, according to Refinitiv data. Revenue of $8.5 billion missed the estimated $9.2 billion. Fixed-income trading revenue fell 30 percent in the quarter, compared with a year earlier. Goldman Sachs had reported an 18 percent fall, while Citigroup’s equivalent decline was 21 percent. Morgan Stanley’s wealth-management business reported a 6 percent decline in revenue for the quarter, year-on-year, and a 24 percent pre-tax profit margin, compared with 27 percent in the prior three months.